Drop by Booth #726 in the Colorado Convention Center for the SME Expo to speak to our Mining Mineral Process Experts about all your mineral processing needs. See the innovative Dewatering Bucket Wheel at the 2019 AGG1 Show in Indianapolis, IN February 12 - 14, PHOENIX Process Equipment Booth 40042. 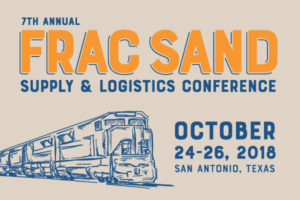 PHOENIX Process Equipment will be exhibiting at the 7th Annual Frac Sand Supply & Logistics Conference October 25 - 26 in San Antonio Texas. Come see the latest in municipal wastewater treatment and water recycling technology at the upcoming WEFTEC Show in New Orleans October 1 - 3, 2018. PHOENIX Process Equipment will be exhibiting in booth #5239 and will have wastewater treatment specialists on hand to address your needs. PHOENIX Proccess Equipment launches its new website. The new website is responsive, includes additional information about our company, process equipment, technologies, and was redesigned with our customers in mind.